“Back in 1966 I was working as a staff writer and producer for Scepter Records. 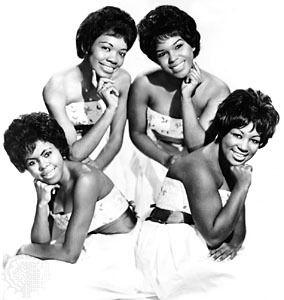 Florence Greenberg who owned the company decided to re-release “SOLDIER BOY” by the Shirelles which had been number one a few years earlier, and asked me to write and produce a new b-side for it. As far as I was concerned there were no b-sides and even though I only had three hours to write and record the song with Shirelles I was determined not to make it a throwaway. I flirted with Shirley while she was on mike until she gave me the playful performance I was looking for. If you liked “MAMA, MY SOLDIER BOY IS COMING HOME, please feel free to share it with a friend…but if you loved it, please feel free to send it to your entire address book! MERRY CHRISTMAS, HAPPY HANUKKAH, HAPPY KWANZA…ENJOY TO THE WORLD!